The smell of coconut oil always transports me to tropical island paradise, and for good reason- coconut oil has been used as a skin moisturizer, hair conditioner and healing agent by Pacific Islander and tropical natives for centuries. Just Coco is a sustainable, community empowering business started by my world traveling friend Sara Krosch, and uses all natural cold pressed virgin coconut oil in their products. Based out of her home on tropical island paradise in the Philippines, she runs Just Coco. Using only all-natural and, whenever possible, organic ingredients combined with virgin coconut oil, they create skin, hair and nail care products. 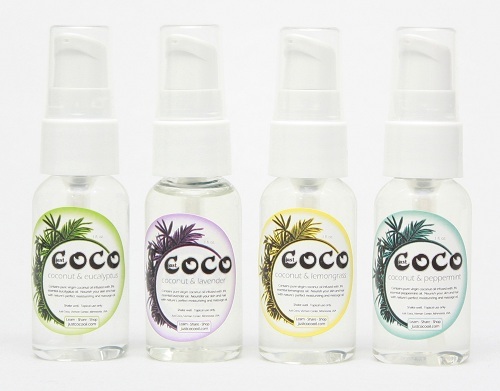 All of Just Coco’s products are vegetarian or vegan. Their cold pressed, preservative free pure virgin coconut oil contains 50% lauric acid (the highest content possible) with natural antimicrobial and antioxidant properties. Learn all about the mysteries of coconut oil on Just Coco’s blog including how their virgin coconut oil is produced. 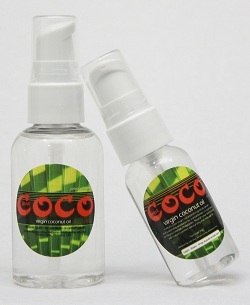 For more coconut oil products, check out coconut chocolate spread and skincare products.